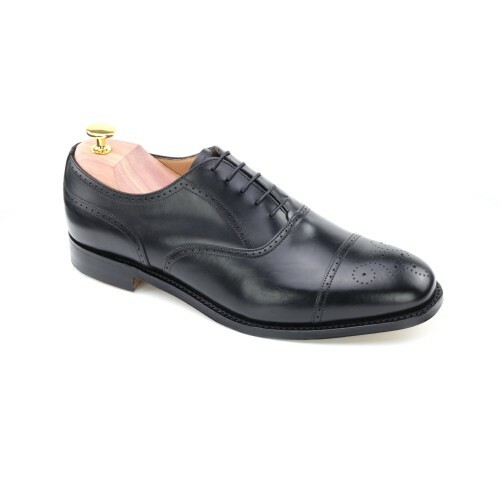 In a Harris in Black Calf Dress, you can dress-up or dress-down and still be well dressed in this impeccable Half Brogue. One can get away with almost anything in this suave, elegant Half Brogue – in city suit black. Whether observed by CCTV cameras avoiding the congestion charge in Berkhamstead or snapped by the press sampling decongestive powders in a Berkeley Square nightclub, the HARRIS’ sleek lines will ensure you escape with at least your reputation for style intact.